This is one of our most popular invitations. Sold in a convenient pack size of 20 invitations or singly so you can purchase exactly what you need. Invitations ~ Confetti are a wonderful gender neutral option in rainbow colours which would suit many party themes. Perfect for a confetti, fiesta, rainbow or carnival party. They are made from thick card and come complete with a coordinating envelope. 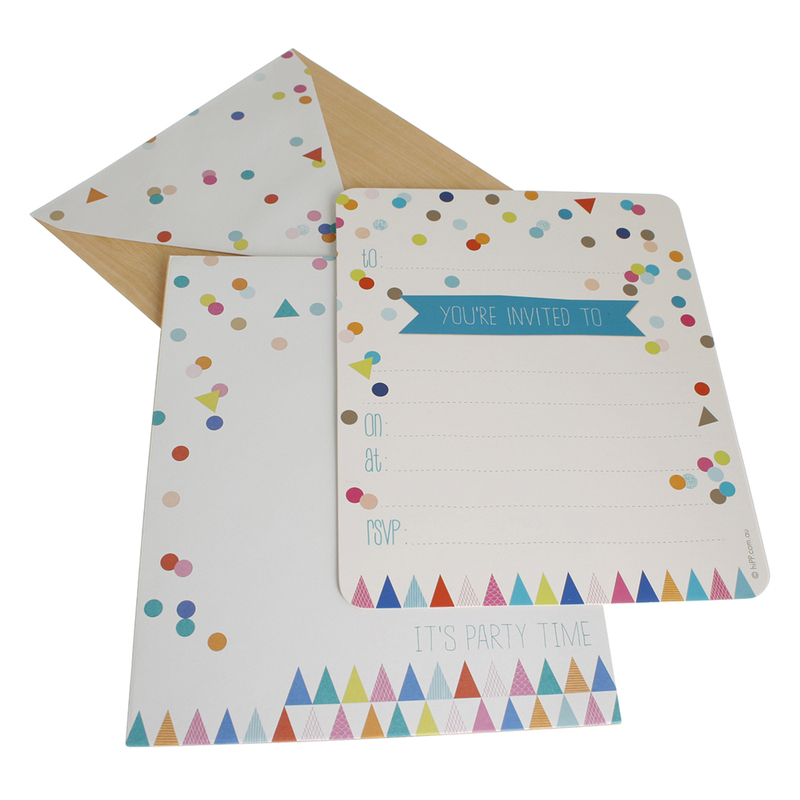 Pack size: Available in a convenient pack size of 20 invitations or singly so you can purchase exactly what you need. Just select the “1 invitation” option and then add what you need to your cart.